Gulf Stream Gifts carries a huge selection of sterling silver, 14 KT gold and costume jewelry with a nautical flair. They have also incorporated a variety of stone jewelry into the mix such as larimar, lab opal, amethyst, abalone, turquoise, OBX sea glass, etc. Featured artists such as Charles Albert, Vera Wolf, Marahlago and Goddess Designs as well as local N.C. artists. Their home decor consists of mermaid prints by Robert Kline, metal art, sea glass pictures, Suzanne Tate books, Jim Shore figurines and much more. 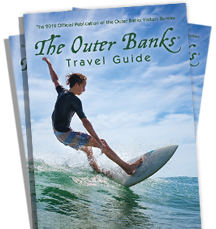 The owners and staff are celebrating 30 years of making your visit to the Outer Banks a memorable one. Their motto is 'May all who enter as guests leave as Friends".